As Downtown Johnson City continues to grow, new local businesses are popping up all over. One new addition is Fizz Soda Bar. 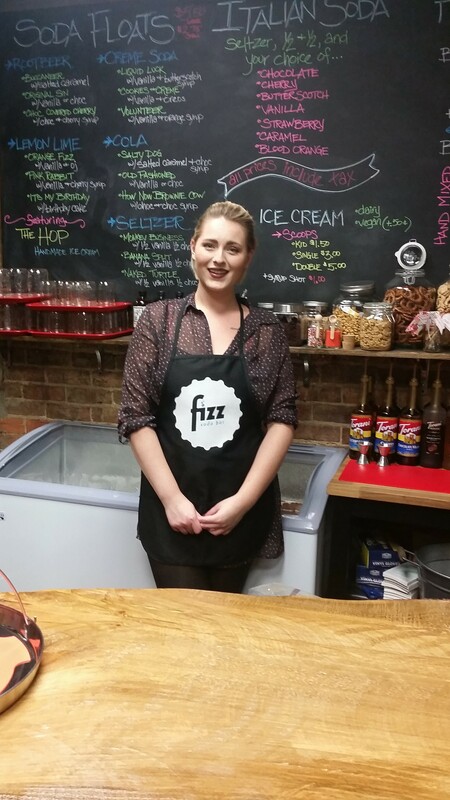 While Fizz is owned and operated by ETSU alum Catelyn Pate, she relies on the help and support of her family. Her father, Todd Pate, helps out by spending his weekends working at the soda bar while her mother, Rachel Pate, is the mastermind behind all of Fizz’s original soda float recipes. Her grandparents have even put in their fair share of time to help Catelyn get her business up and running. “We’ve always wanted to start a business, we started bouncing around ideas and came across the idea for a soda bar in a bigger city, and we loved the idea,” Catelyn said. Fizz offers all natural beverages made without high fructose syrups. They offer bottled sodas, Italian soda, floats and fountain sodas. Italian sodas are made with seltzer water, half and half cream, and a flavor of your choice. As for the soda floats they have a variety of options. They recommend you choose your favorite type of soda from root beer to lemon lime and then decide from there. Some flavors include The Salty Dog, which is made with cola, salted caramel ice cream and peanuts. It’s kind of like the old Southern tradition peanuts and Coca-Cola. All of the ice cream Fizz uses is from The Hop in Asheville, North Carolina. 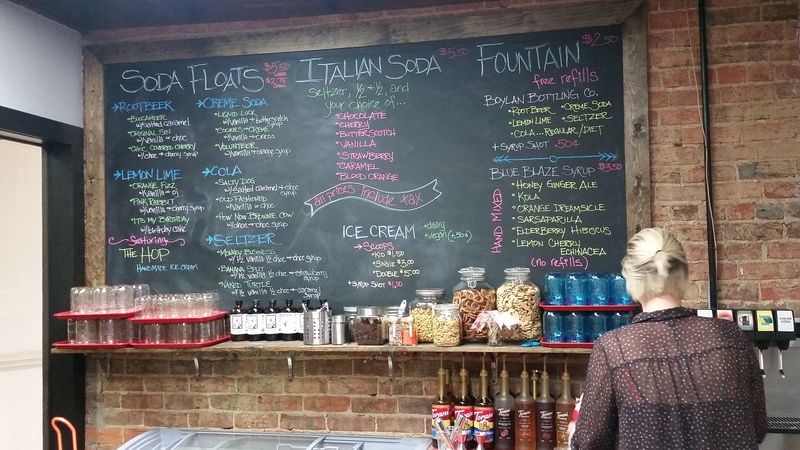 You may have heard of Fizz if you have visited the Noli Food truck here in Johnson City. They have spent time aboard selling their sodas while waiting for their store to open. “We wanted to make a presence in the community before we opened, we got in touch with the guys at the Noli truck and got started,” Catelyn said. 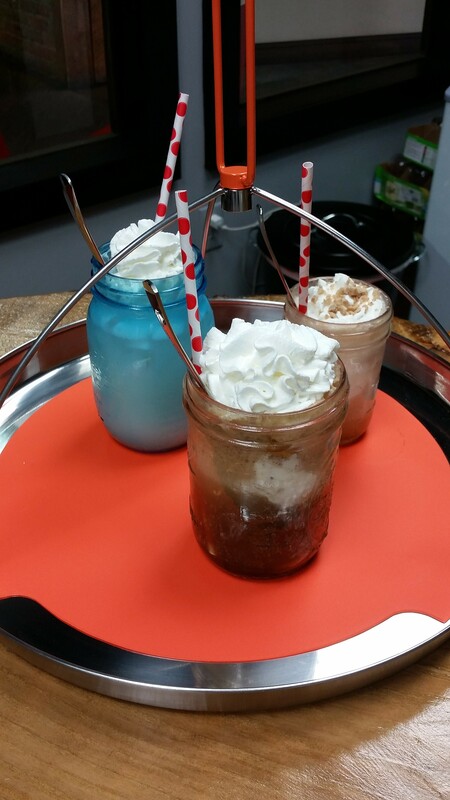 For all the “Harry Potter” fans, Fizz offers a Butterbeer flavored soda, and a float that is called Liquid Luck. They are located on the bottom floor of the Beehive building, just across from the Northeast State parking garage. They are closed Monday and Tuesday, hours of operation are Wednesday and Thursday 12 p.m.-8 p.m., Friday, Saturday 12 p.m.-9 p.m., and Sunday 2 p.m.-7 p.m.
Fizz Soda Bar is a great place for a first date or just a family outing. “We just want people to know that we are very family friendly, Johnson City has finally taken the stride to support local business, we want to encourage the community to give us, and all local businesses, a try,” Catelyn said. Whether you need to study or are just in the mood for a sweet treat, Fizz Soda Bar is a great place to visit, with complementary wifi, and an inviting atmosphere. Kayla Stewart is a freshman, and unlike many of the writers for the East Tennessean, she is not journalism major but an allied health major with a concentration in radiography. She would like to one day be certified to do ultrasounds and sonograms. She writes for the Life and Culture section of the newspaper, specializing in writing reviews about local businesses.